I do this about every year. I ask each team forum to pick for their team. First guy to be named 5 times is the pick. If after 24 hours no one is named 5 times, the guy with the most votes is the pick. In the event of a tie, the first one to the number is the pick. This year please try and guess who you think your team would take, as opposed to who you want them to take. If you mention multiple prospects in your post, please make it clear who your final pick is. Bold text for his name will work. 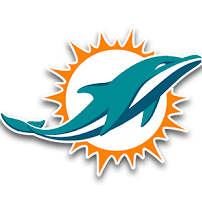 The Miami Dolphins are on the clock! I wouldn’t have an issue with any of those players over Gary. Gary does have a bigger upside than all three of those players, even if his production hasn’t been amazing in college.........and upside is the reason why I went with Gary. I'd have a slight issue with Lawrence over Gary. If Sweat's heart issue is a nothingburger, I'd prefer him over the rest.